Do you want to convert DRM M4V to MP4? Have you ever thought to play the iTunes movie rentals on MP4 players freely? Would you like to watch your purchased M4V movies more freely on your portable media players? Let M4V Converter Plus help you, which can convert DRM M4V to MP4 for your portable media players. Do you want to know more? Read the following article please. Once you bought or rent movies from iTunes Store, they are always in DRM M4V format. You can only play this kind of movies on iTunes, iPod, iPhone, iPad and Apple TV. What's more, there is a limitation of playing only on five computers. M4V Converter Plus is a professional and easy-to-use DRM M4V to MP4 Converter. It is always used to remove the DRM protection from iTunes M4V video and convert protected M4V to unprotected MP4. MP4 is a popular format and is supported by many portable video players. 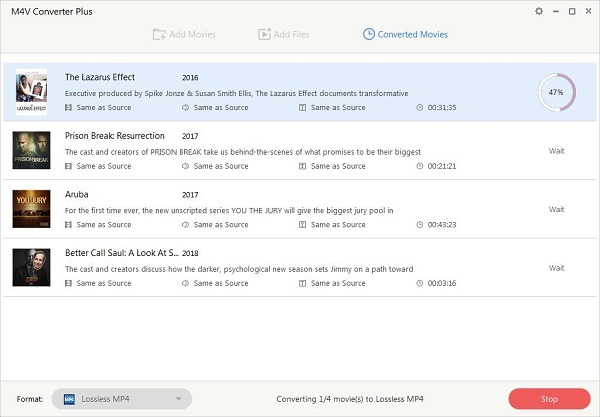 After conversion, you can enjoy converted MP4 movies at will on your iPod, iPhone, iPad, Google Nexus, Sony PSP, Sony PS3, Sony Walkman, Microsoft Zune, BlackBerry, Nokia, Microsoft Xbox 360 and so on. Step 1: Click "Add Movies" to import iTunes videos. 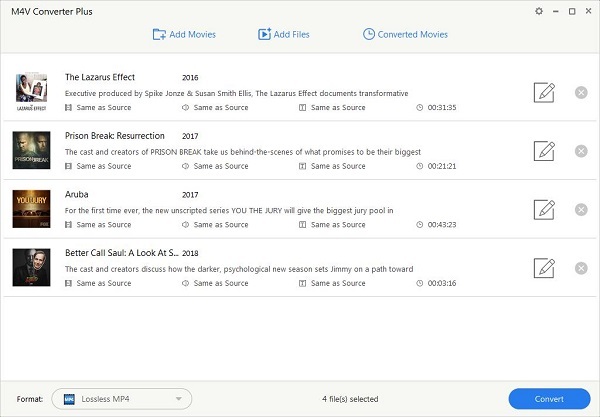 You can also drag M4V video files to the file list directly. Step 2: Click "Profile" drop-down list to set the MP4 as output format. The format setting profiles of the DRM M4V to MP4 Converter are categorized by different platforms. You can customize the output format as device you own. 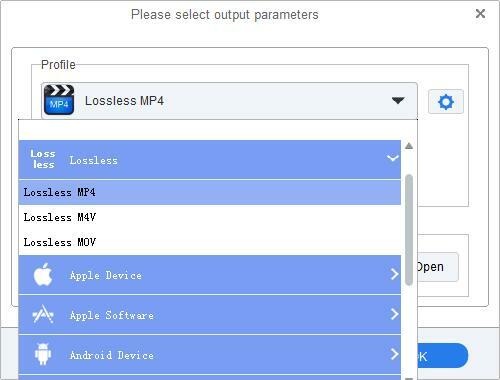 Here we choose "Lossless MP4". Step 3: Click "Profile" blue box to start the DRM M4V to MP4 conversion. After a few minutes, all the videos can be converted one by one. And just a cup of coffee, you can play the converted videos without any limitations any more on any video player devices.